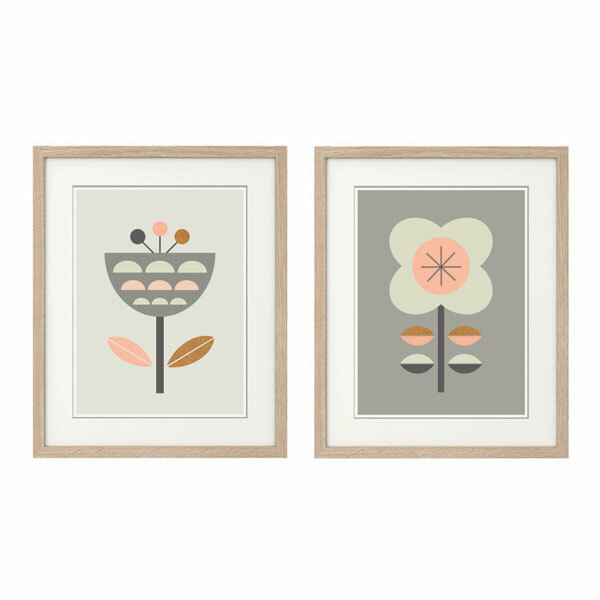 These Nordic style flowers have been designed to sit happily next to each other whilst bringing a bit of modern scandi style to your home. 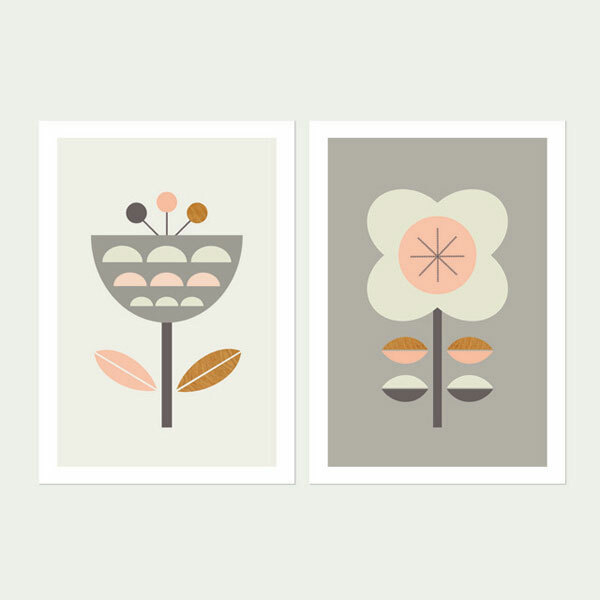 This series of two prints would sit well above a cot/crib or change table, and would suit a modern nursery, child’s room or any other room in the home. Each art print has a small white margin around the printed area. This size will fit a standard 8 Inch x 10 Inch opening inside a frame with a matte. The A4 artwork printed area measures 178mm x 268mm (7″ x 10.5″). 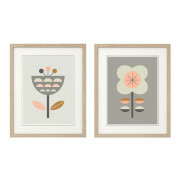 A3 size is designed to fit Ikea Ribba 40 x 50cm frames, using the mount, and leaving a small white margin. We use quality heavyweight matte paper and pigment based inks on all of our prints. Prints are signed and dated.